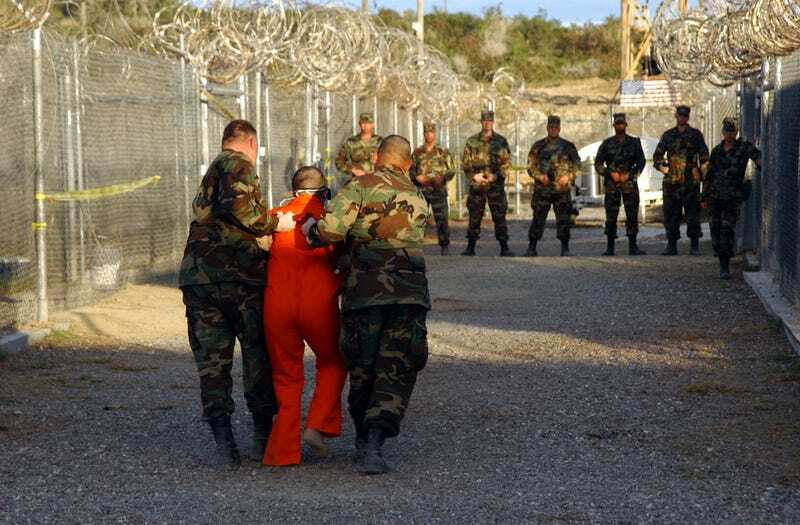 A new report is accusing the American Psychological Association of secretly collaborating with the U.S. government to make a legal and ethical case for torture in the wake of the 9/11 terror attacks. The A.P.A. secretly coordinated with officials from the C.I.A., White House and the Department of Defense to create an A.P.A. ethics policy on national security interrogations which comported with then-classified legal guidance authorizing the C.I.A. torture program. The authors of the report analyzed over 600 emails which purportedly show how the APA collaborated with the administration of George W. Bush to justify the torture of prisoners during interrogation. Photo: Photographers Mate 1st Class Shane T. McCoy - DefenseImagery.mil, Virin 020111-N-6967M-524/CC.